This is way more enjoyable than it has any right to be. There is a fun, almost darkly comedic tone to it which borders on self-awareness, and combined with the excellent directing, performances, music, and cinematography it is very hard not to enjoy it even if the script is not so original. Moretz was fine. 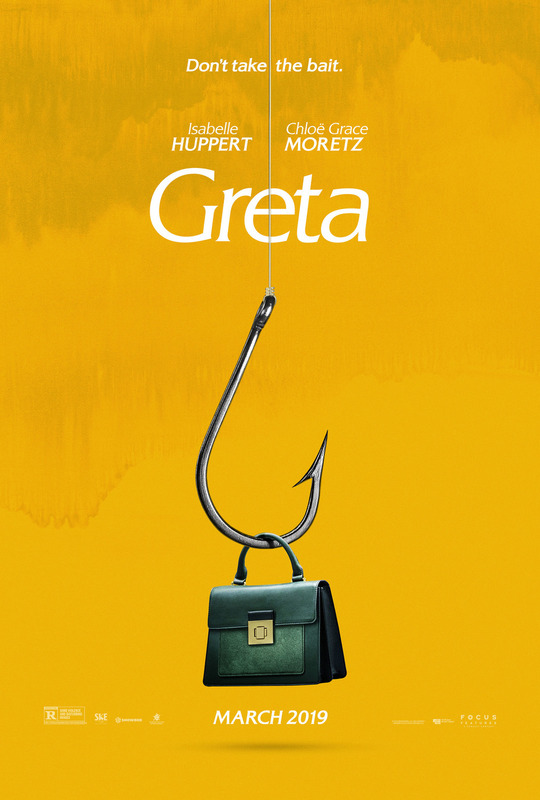 I thought she carried the story well enough, but Isabelle Huppert and Maika Monroe were absolutely phenomenal. The movie gets pretty bonkers, but it does so in the best possible way, being self-aware about it and using it to its advantage to make it darkly enjoyable. There is a nice gut-punch about two-thirds of the way through, using a cliche and turning it on its head, which thankfully it’s when the movie takes a dark turn and basically turns it into a horror film. It’s definitely not for everyone but for those people who can enjoy those sorts of stylish and over-the-top suspense/thrillers, I’d highly recommend it.